New information shows that millions of defective tires are on the road, increasing the likelihood of car accidents across the country. With over 500 motor vehicle deaths per year caused by tire failures, this has safety advocates deeply concerned. The National Transportation Safety Board (NTSB) has recently stated that the current registration and recall method for tires is ineffective, putting drivers at greater risk. A special investigation found that few tires are registered by their owners. This leaves manufacturers with no way to contact drivers in the case of a recall. Between 2009 and 2013, 3.2 million tires were recalled with a completion rate of only 44 percent. During a normal tire recall, approximately 20 percent of affected tires are sent back to the manufacturer. When it comes to vehicle recalls, there is a 78 percent recall completion rate. Distributors and dealers under the control of tire manufacturers must register purchased tires for their customers. Unfortunately, these standards are not enforced among independent tire dealers and distributors; where most of the U.S. population buys tires. The Rubber Manufacturers Association estimates tire registration via dealers and distributors controlled by tire manufacturers is at 100 percent. But among independent dealers and distributors, the registration rate is only 10 percent. Failure to register tires by independent dealers and distributors is a major reason why tire recalls are so ineffective. In addition to making sure tires are properly registered, drivers can reduce their risk of tire-related accidents by keeping tabs on the age of their tires and periodically inspecting them for wear and damage. 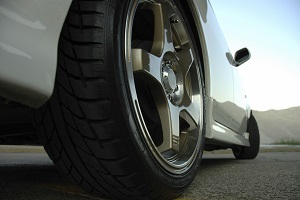 Factors such as sunlight exposure, mileage, climate, and road conditions can accelerate tire aging. Tires should be replaced according to manufacturer specifications. If you have been injured in an auto accident due to faulty tires, you may be able to recover compensation. Our skilled personal injury lawyers in Tulsa will assist you in holding manufacturers responsible for their negligence.